Copyright © Vincent Bourgoin - This image is copyrighted. Unauthorized reproduction prohibited. 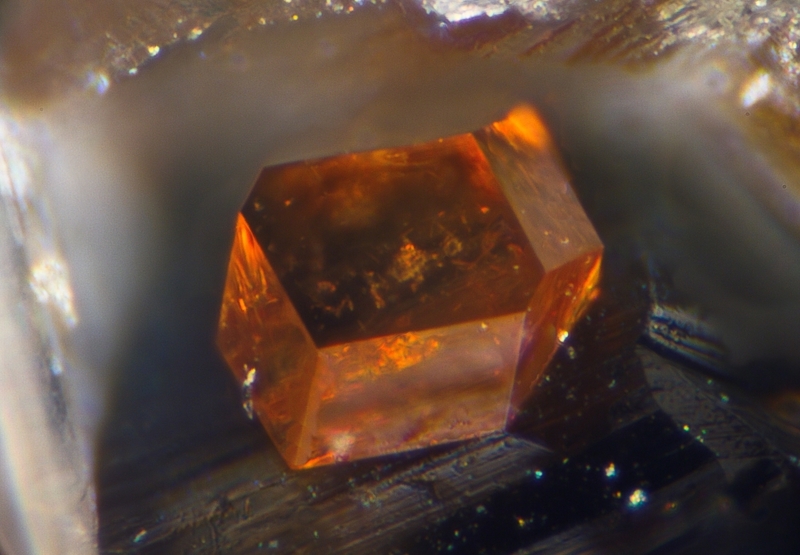 Crystal of menezesite on phlogopite.